Papers: The papers of former Congressman Solomon Ortiz are not yet available for research. Papers: In the Hilda Tagle Papers, 1946-2003, 19 cubic feet. 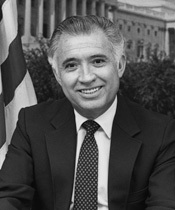 Persons represented include Solomon Ortiz. Oral History: In the Oral History Interview with Ruben Bonilla, Jr., 1996, 1 videocassette. Subjects covered include Solomon Ortiz. Oral History: In the Oral History Interview with Lorenzo Rojas, 1998, 1 videocassette. Papers: In the Filemon Bartolome Vela Papers, 1952-2004, 20.5 linear feet.